BOULDER, Colo. (AP) — Namon Wright scored five of his 19 points in overtime, including a pair of crucial free throws at the end, and Colorado beat No. 4 Arizona State 90-81 on Thursday night. Down 11-0 to start the game, the Buffaloes (9-6, 1-2 Pac-12) steadily whittled away and opened up a six-point lead with 1:17 remaining in regulation. But the Sun Devils (12-2, 0-2) stormed back, with Mickey Mitchell tying the game at 74 with 5 seconds left on an emphatic dunk. In overtime, the Buffaloes hit six straight free throws down the stretch. It was the highest-ranked team Colorado has beaten since knocking off No. 3 Texas on Feb. 4, 2003. The Colorado fans stormed the court to celebrate. 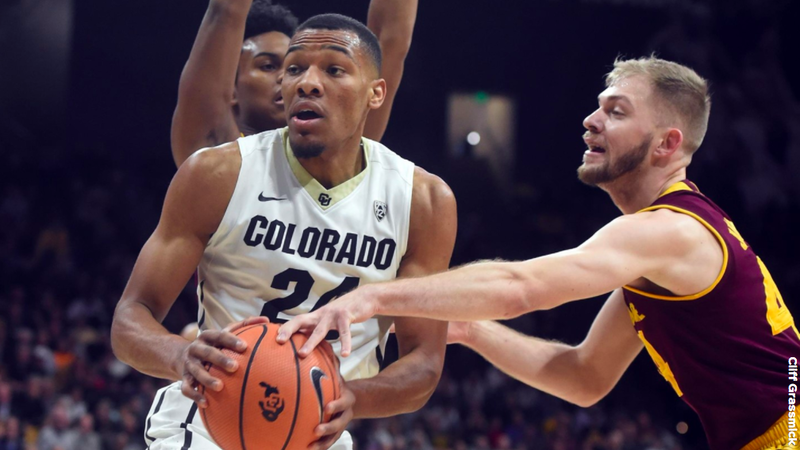 McKinley Wright added 19 points and George King chipped in 18 as Colorado snapped a three-game skid, including two straight to start conference play. The Buffaloes began 0-7 in the league a season ago. Tra Holder had 24 points for Arizona State before fouling out in OT. Mitchell added 10 rebounds before he fouled out. The Sun Devils have dropped two straight after reeling off 12 wins in a row. Arizona State coach Bobby Hurley couldn’t have asked for a better start on the road — and at higher elevation — as Arizona State raced out to an 11-0 start. The Sun Devils didn’t allow Colorado to score its first basket until a little more than 5 minutes had elapsed. Colorado took its first lead of the game on a layup by Tyler Bey with 8:27 remaining in regulation. Wright made a layup early in overtime and the Buffaloes wouldn’t trail again. Holder’s big night gives him 1,525 career points to move into 10th place on the school’s all-time scoring list. Arizona State freshman Kimani Lawrence made his debut after missing the start of the season with a broken left foot. 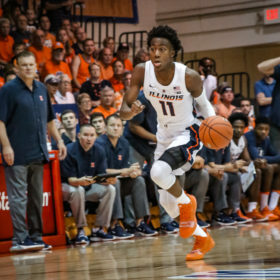 He played only a minute in the first half after picking up two fouls. Lawrence finished with one point in 4 minutes of work. 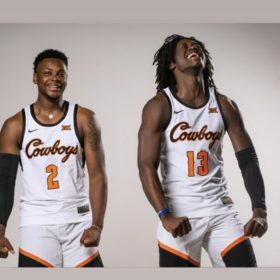 The 6-foot-7 forward was a highly ranked recruit and adds yet another dimension to an already explosive Sun Devils team. Arizona State: The Sun Devils were outrebounded by a 47-42 margin. They were 9 of 33 from 3-point land. Colorado: The Buffaloes improved to 16-29 against ranked teams under coach Tad Boyle. The 16 wins represent more than 25 percent of the school’s victories over ranked opponents (59) since 1949-50. Arizona State: Another game at altitude as the Sun Devils play at Utah on Sunday. Colorado: Another game against a team from Arizona with the Buffaloes hosting the No. 14 Wildcats on Saturday.